Heroes come in all shapes and forms, and Tuscola High School has been gifted with many. Ours don’t come with flamboyant outfits, theme music or sidekicks, but they still change our society with their actions. One of our most prominent heroes is (drum roll please)… Officer Eddie New. Deputy New makes it a point to have positive interactions with THS students. Deputy New moments before the start of graduation at the Ramsey Center. Officer New has changed the nature of Tuscola High School. 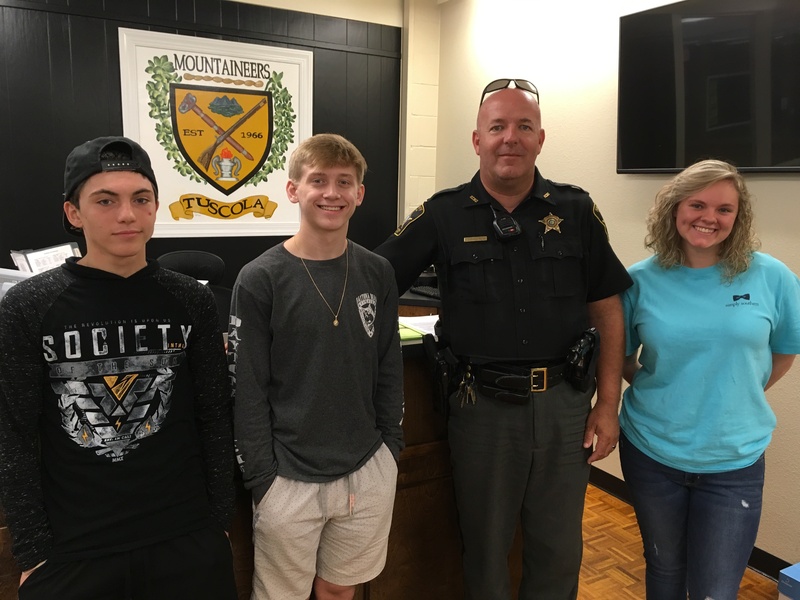 Mrs. Jennifer Smathers says, “he works to protect and defend the students of Tuscola High School.” His office is a safe place for students with fears and problems when they don’t know if they could handle it on their own. His calming and reassuring personality has encouraged many pupils to keep on keeping on. Tina Messer said, “In the toughest of situations, he always knows what to do.” He embodies the Mountaineer spirit of perseverance, a strong work ethic, and an eternal belief in the betterment of everything he encounters. 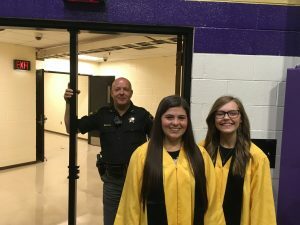 Tuscola High School owes him a huge thanks and lots of gratification for all of his work. 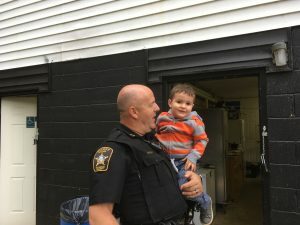 Thank you Officer New for all you have done for us, and all that you continue to do. 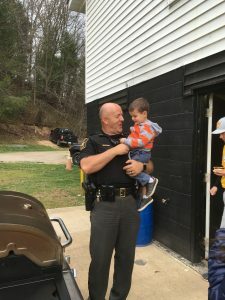 Deputy New visits with a young Mountaineer fan at a baseball game this Spring.